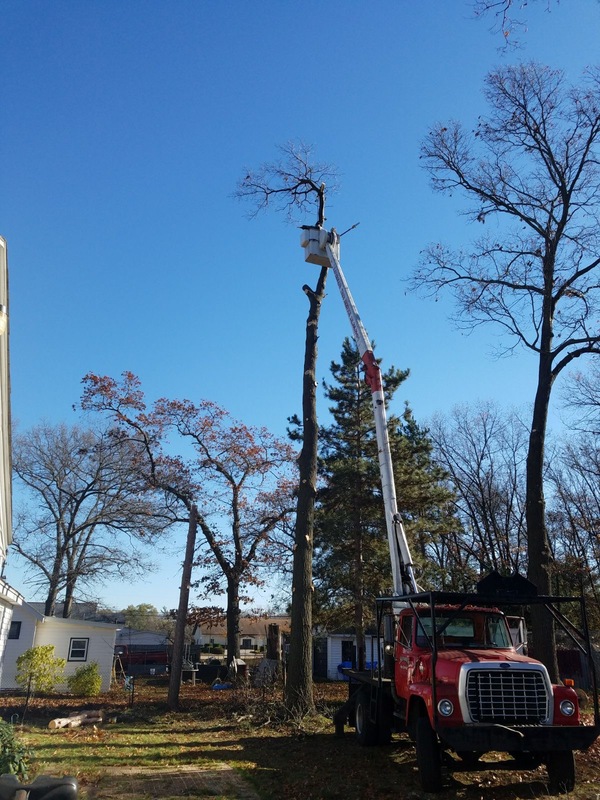 When a tree must be taken down we will remove it safely, with our specialized equipment and professional staff. Whether the tree is over your house or along the property line, we are knowledgeable and equipped to handle it. We strive to leave your property cleaner than when we arrived. First identify the tree, and then provide the proper pruning to that tree without compromising the health of the tree being pruned. When accessible, we use our 60 ft bucket truck to effortlessly move through the canopy of the tree. There are many ways to get rid a stump. Grinding a stump is the safest, most efficient way. Grinding also provides the least amount of damage to the surrounding area compared to digging and pulling the stump. Grinding is done with one of our two stump grinding machines and a safe and professional operator. The stump is ground into wood chips and contained in the area being ground. We then offer to clean up all debris and install topsoil, grass seed and straw, leaving you with one less obstacle to deal with. 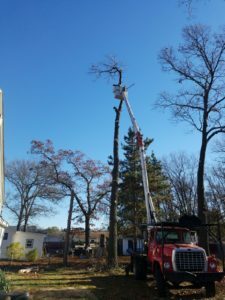 When an emergency hits, any time day or night, we are on call to handle your tree emergency. We will remove your hazard tree from your house, car, driveway etc. without causing further property damage. Hopefully, you never need this service, but if you wake up to a tree on the inside of the house you should know whom to call. A properly planted tree will add value and beauty to your property. 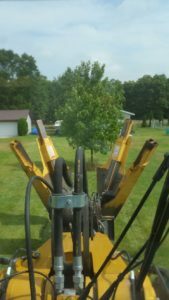 At Rock Plant-it we have a large section of balled and burlapped trees in stock to choose from, or we can move a tree that is currently located on your property, to assist you in selecting the right tree for your space. We will also plant a memorial tree in honor of a loved one. When you have to access tall areas safely and efficiently we utilize our 60 ft aerial lift bucket truck. In the past we have set Christmas lights, changed street light bulbs, repaired flagpoles, accessed chimneys etc. We also offer aerial photography for school pictures or for a realtor who needs a photo of the entire property. From 60 ft up you get a whole new prospective. 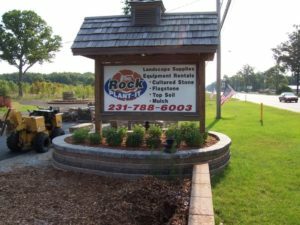 Whether you are putting in a driveway, roadway, pipeline, enhancing a view or expanding your useable property let Rock Plant-it remove the trees for you. 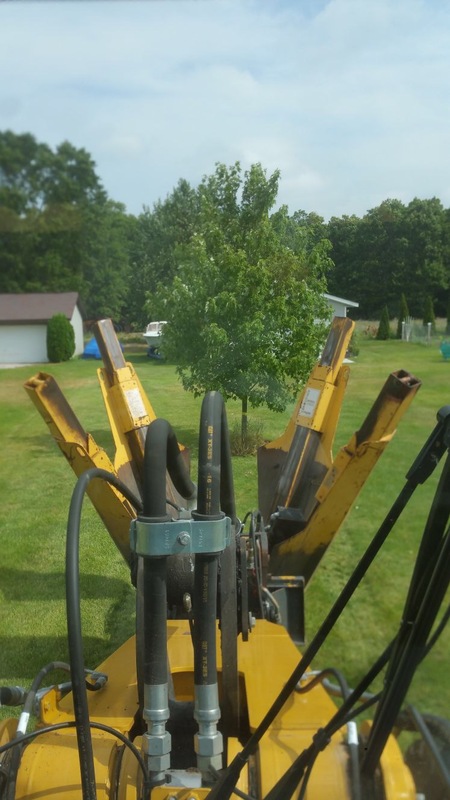 We provide low impact tree removal so we don't leave your property a mess when we are done. We have the equipment and manpower to quickly and efficiently meet the needs of your property improvements. 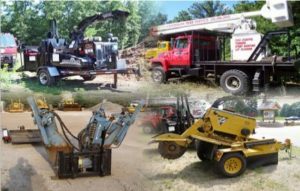 We run an owner operator department and offer a wide range of tree services. Fill in the form, send and email, give us a call or even drop in and see us.